Despite record sales in Canada since 2013, economist Carlos Gomes believes the record run is likely coming to an end. Big year-over-year price hikes for new vehicles — rather than personal household debt — are more likely to end the country’s four-year record sales run, warns Scotiabank senior economist Carlos Gomes. Despite record sales in Canada since 2013, Gomes believes the record run is likely coming to an end. Over the past 15 years, the industry did “a great job” of limiting price hikes to 1.5–2 per cent per year, well below the average against household income, Gomes said. “Now we’re seeing increases in the order of six per cent year over-year ... leading to some deterioration in vehicle affordability. Dennis DesRosiers, president of DesRosiers Automotive Consultants, said fundamentals affecting the industry will also affect how much longer high sales last. “The age of the fleet, how much people are driving, the products that are available, and the metrics related to the fundamentals are as strong today as they were one or two years ago,” he said. The market is essentially a replacement demand market, DesRosiers said. “This year, 1.5 to 1.6 million vehicles will be taken off the road, and you have to put 1.5 million back on the road, or you don’t drive. Canada is adding jobs and Alberta’s economy is starting to come back, DesRosiers said, while automakers are introducing a record number of products with technology that consumers want. Canadian household debt has risen to 165 per cent of income, but Gomes said while that is problematic, house-hold wealth is also at a record high of eight times income. Canadians are ready to buy new vehicles, according to an Ipsos poll conducted in December 2016 on behalf of Canadian Black Book. The survey found that 62 per cent of respondents were either “very” or “somewhat” likely to purchase a vehicle within the next two years, an 11-per-centage-point rise from the 2015 poll. 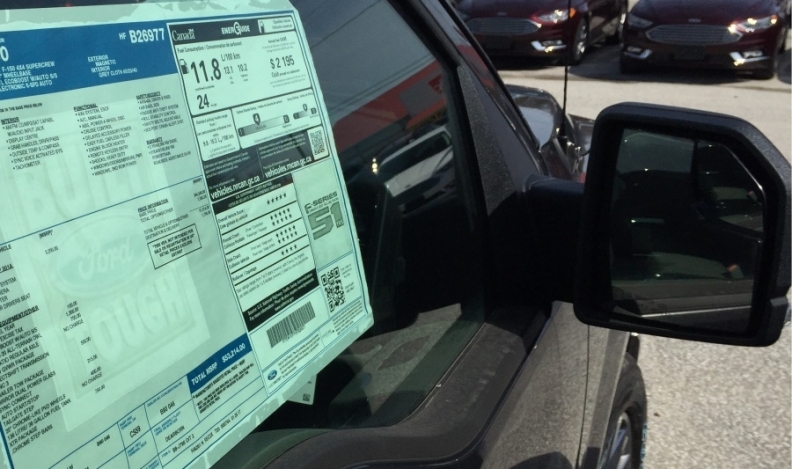 Vehicle-buying intentions were strongest in Ontario, where they were 62 per cent, and weakest in Quebec, Saskatchewan, and Manitoba at 59 per cent.